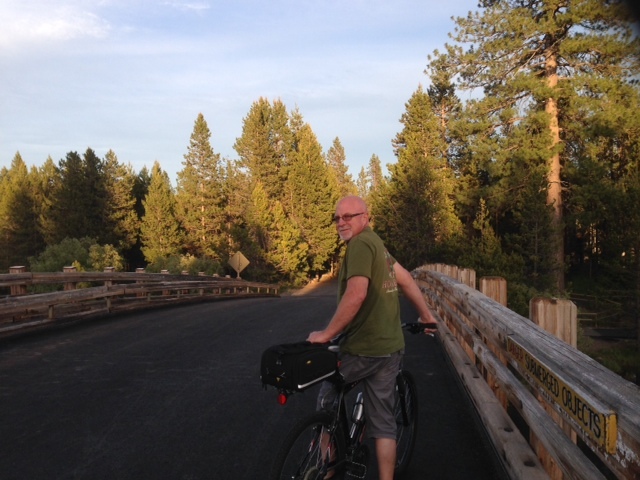 My favorite thing to enjoy at Sunriver is a loooong bike ride on their miles and miles of paved trails. 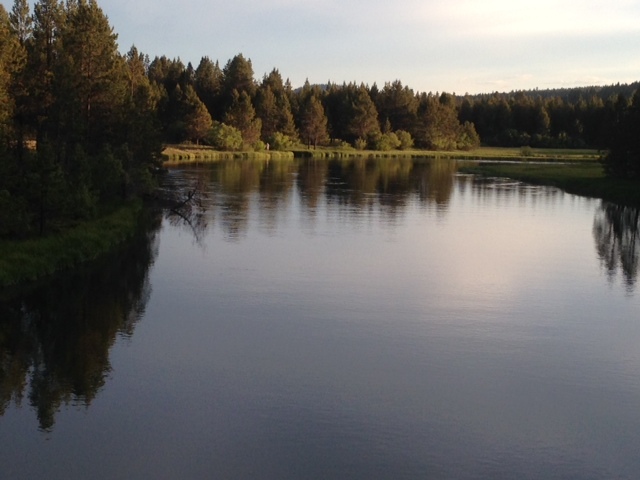 The trails meander through the resort, often along the Deschutes River. We enjoyed several of these relaxing bike rides. 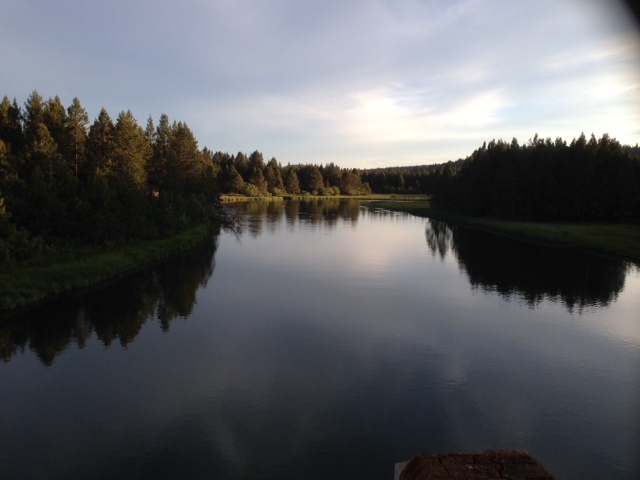 There is a footbridge you can ride across the Deschutes. The best part about that is the views of the river, which is very calm in this area. Here’s looking north from atop the footbridge . . .
And here’s looking south . . .
Bill’s taking in the scenery from the footbridge. 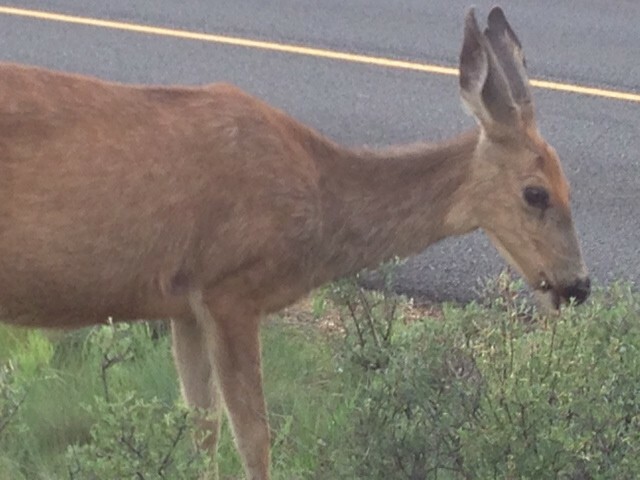 On our way back, we passed by this deer. She wasn’t at all concerned about being so close to humans, and just kept munching away while I snapped photos just a few feet away from her. Nature’s beauty at its best.